Thank you for your interest and willingness to participate in other Mansfield Farm Project. My husband and I moved to Mansfield from Melbourne in July 2017. Prior to purchasing our home I had been to Mansfield twice - once for coffee on the way through to Mt Buller a decade prior and once when we viewed our home. This impulsive 'tree change' threw me outside my comfort zone with no friends or family in the region and never having lived or spent any time in the country. Since then I have adjusted to life in the country, have re established my photography studio in Mansfield and have met some wonderful people. As I go about my travels however I realise I know very little about the properties surrounding me. 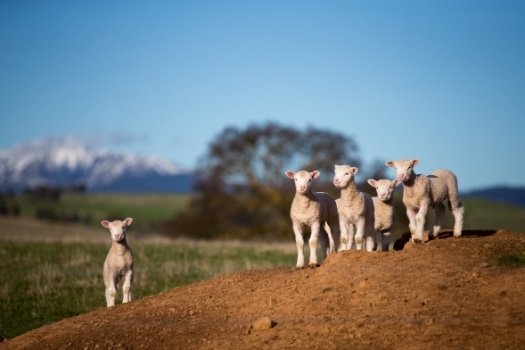 Overnight cattle or sheep appear in paddocks previously empty, crops spring from the ground, farming equipment appears and the colours of the landscape change. What is the Mansfield Farm Project? Sandra from Sandra Lee Photography (SLP) will select three farms to photograph over a 12 month period. Each farm will be attended at least four times to capture the various key activities throughout the year. We are looking for three very different farms to photograph and selection will be based on size (big or small), type of farming activity and location. The project is a significant undertaking for SLP and will be heavily reliant on good co-operation and communication between farm owners and SLP. While no specific images can be guaranteed and each farm will be different you can expect a wide range of subject matter that may include landscapes, environmental portraiture, stock/crops, farm life, machinery, family, details etc. At the conclusion of the project the farm owner will be presented with a 10 x 10 inch fine art album (10 spreads/20pages) to keep as a snap shot in time of their farm that will be enjoyed for generations to come. 3. Once short listed Sandra will attend the farms and have a conversation with the owners. If you are not the owner of the property it does not preclude you from participating - we will just need to ensure we have the appropriate permissions. Please provide information about your farm. The more information we have the better equipped we are to make a decision. How did you hear about the Mansfield Farm Photography Project? Would you like to be added to our mailing list for information regarding upcoming courses and studio information? That we participate in interviews about our farm and our family as it relates to our farm and agree that this information may be published for the purpose of the project. In return for participating in the project SLP will supply a 10 x 10 inch fine art album to the farm. The images included will be selected by SLP. Additional images and products will be made available for sale at 15% off the current price list. Thank you for your interest in our Mansfield Farm Project and for taking the time to complete the online application. Expressions of interest will close on 15th March after which time you will be contacted.